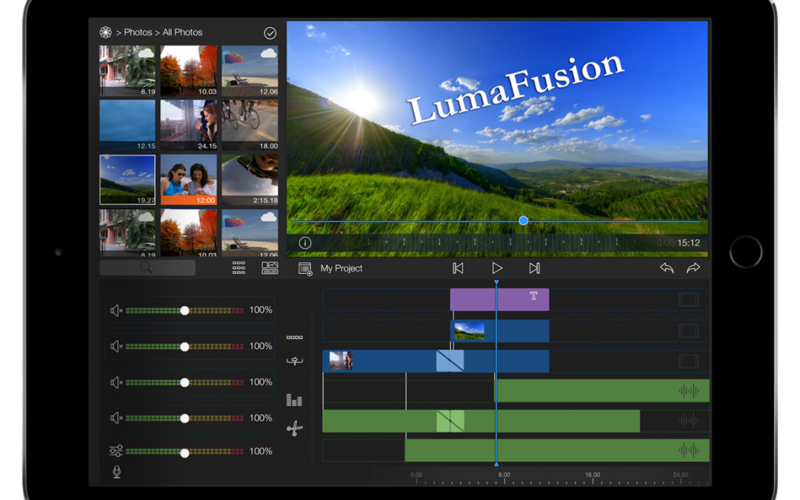 SANDY, UT September 23, 2016 Luma Touch, the original creators of Pinnacle Studio for iOS, will soon release the most professional video editing and effects app ever created for iOS with the new app LumaFusion. Coming on the heels of the successful LumaFX video effects app, LumaFusion has professional features such as as multiple video and audio tracks, insert and overwrite style editing, multiple layers of real-time effects with keyframing, color correction, multi-layer titles, live audio mixing, support for landscape or portrait video projects, 24, 25, 30, 50 and 60fps and resolutions up to 4K. LumaFusion will be available on the App Store December, 2016 and will have both purchase and subscription models to chose from.